The Copenhagen Wheel has been a sort of legend among cyclists for years now. The fabled attachment could turn any bike into an electric bike, they said, and it would be affordable and compatible with each and every bike in the world. Showtime’s hit series Weeds even featured a storyline about it. It’s all been a pipe dream until now. The mythical device was actually invented in 2009 in MIT’s SENSEable City Lab, but it wasn’t put into production until 2012. 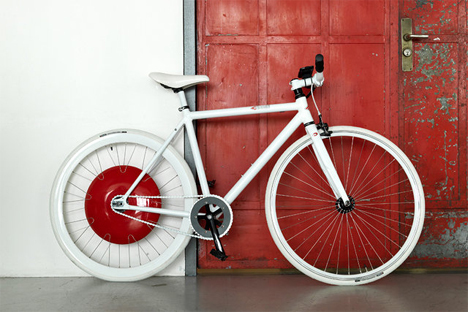 A company called Superpedestrian decided that it was time to make the Copenhagen Wheel available to the world. Superpedestrian isn’t sharing many details ahead of the wheel’s official launch, but this much we do know: it provides an extra boost of power when you need it, and you won’t need to give up your vintage Schwinn to make it happen. 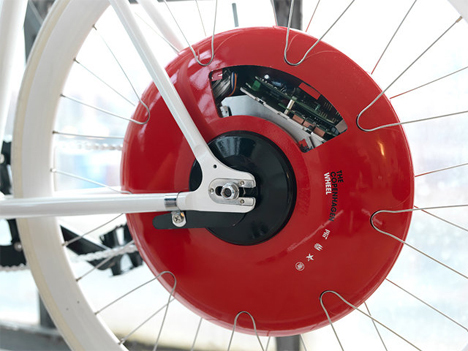 The wheel can be switched over to a setting that requires no work at all from the rider, and it can cover about 15 miles on a single charge. The battery life is boosted by the wheel’s regenerative braking system, which captures and stores energy in the lithium battery for later use. 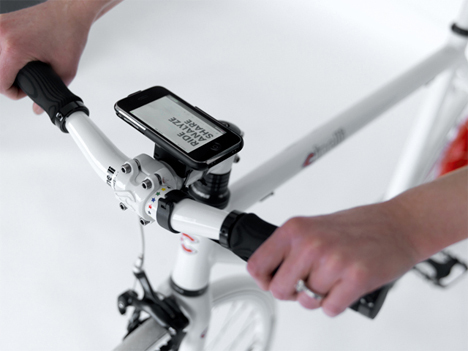 An associated app lets riders lock and unlock the bike as well as determine the power settings. We’ll have to wait until the official launch to see just how amazing the Copenhagen Wheel is in real life, but if the rumors are true it’ll revolutionize the way we bike. See more in Bikes & Cycles or under Transportation. November, 2013.